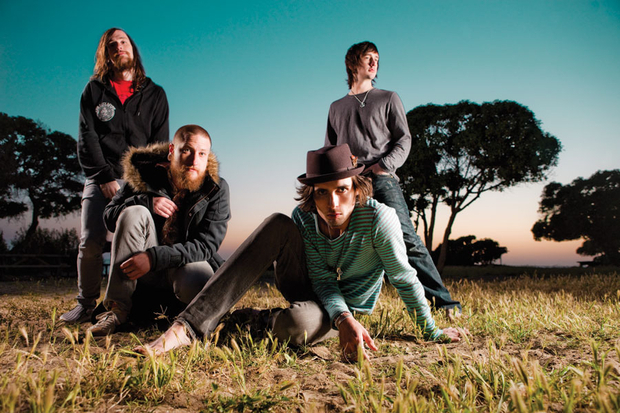 The All-American Rejects have been working on a new album entitled, Kids In The Street. The band plans on going on a mini tour entitled the Shaking Off The Rust Tour in late January. Kids In The Street will be available sometime in spring 2012. There is no word if the band will be performing a few songs from their new album on this tour, but it is very likely. For the full list of tour dates, click “read more.” The band will be adding more dates to this list, so look out for those soon! UTG will keep you updated on AAR news in the next weeks.